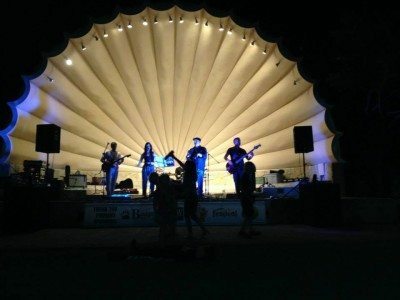 Bring your lawn chair, pack a picnic basket, and enjoy an evening with friends for concerts in the park featuring Euphoria and Alter Boy Picnic. Held Wednesday evening during the summer at Barrie Park Band Shell, an outdoor music venue for the community, for a total of six concerts all for a charitable cause. Funds raised are donated to Boys & Girls Club of Fort Atkinson and applied to the Fort Atkinson Charity Concert scholarship which supports students who have shown a commitment to their communities. 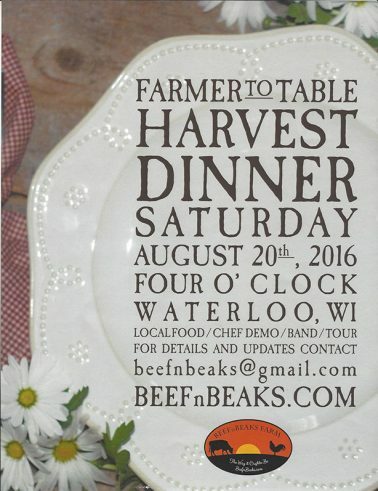 This is a celebration for the agricultural industry of honey. This is Wisconsin’s 1st honey festival in the state. 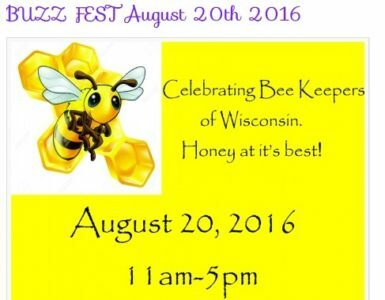 Buzz Fest is hosted by Vetro Winery and the Beekeeper’s Association of Wisconsin. Honey will be for sale and various honey related items. We will have bee hives (contained) on display. Beekeeping supplies and entertainment for all ages. Join us for the 30th Annual Tour de Fort Metric Century. New scenic route through Jefferson, Rock and Walworth Countries, featuring beautiful Whitewater Lake Loop. 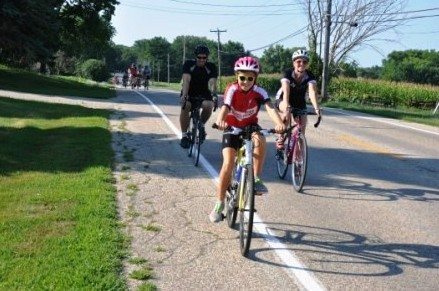 Metric Century Course (63 mile) with a Half-Metric Century (36 mile) and Quarter-metric Century (18 mile) options. All on paved, scenic and enjoyable roads. General Mass start at 8:30 a.m. for all bikers from Jones Park at the corner of Janesville Ave and Park Street on Fort’s South side. Look for Lions Club Chicken Feed Tent! “Breakfast Treats” before you start the ride. Rest Stops with refreshments and a lot of good biking food! Please keep in mind that rest stops will have cut-off times. Detailed maps and very well-marked routes. You’d have to try real hard to make a wrong turn. One ticket to the Lions Club Chicken and Corn Feed. Boy, will all the corn you can eat taste good after all you’ve been biking! Please Note: Helmets are required. No refunds! Ride will be held rain or shine, come “heck” or high water. Corn and Chicken Dinner includes chicken, rolls & butter, coleslaw, beverage, ice cream, and ALL YOU CAN EAT CORN! This sprint-distance triathlon guides participants down the shores of Lake Ripley, along scenic country roads and through beautiful downtown Cambridge. The event will start and end at Ripley Park, an 18-acre, beachfront park complete with restrooms, showers, multiple shelters, disc golf course, playground, and much more! Athletes receive a medal and t-shirt for participation. Awards will be given for first, second, and third place in each race category.